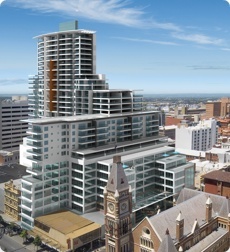 Milestone have been engaged on a large number and variety of projects in Australia. The following examples provide an insight into the type of projects we have had a close involvement with. Rockingham / Kwinana District Hospital's role and capacity was expanded to become one of the four (4) General Hospitals in the metropolitan area delivering a comprehensive range of core clinical services to the Southern Metropolitan Area Health Service (SMAHS). Increased capacity in clinical services occurred in areas such as: emergency department, renal dialysis, oncology, cardiology, endocrinology, palliative care, gastroenterology, general surgery, rehabilitation, mental health, high dependency unit and operating theatres. Construction costs were in the order of $100M+. 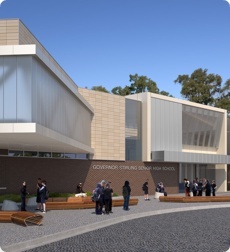 The new Governor Stirling Senior High School Redevelopment in Woodbridge replaces the existing school with a modern, adaptable facility that caters for the current education program and future changes in education delivery methods, accommodating a school population of 1000 students across Years 8-12. The approximate construction cost is $45M, and the facility is due to open in 2013. Construction of the new (37) thirty seven storey mixed use development including residential, office and retail space. The first five levels are office space and apartments above. It is constructed on the site of the city's former "Cinema City" main cinema complex and retains existing arcade linkages from Hay Street to Murray Street with a entrance on Barrack Street. Construction costs were in the order of $80M. 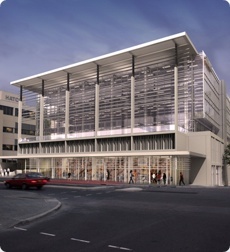 A new eight (8) storey commercial mixed use building and generally comprising Level 0 car park; Level 1(Ground) car park and comercial retail facing Stirling Street; Level 2 carp park; Level 3 car park; Level 4 office with atrium over; Levels 5, 6, and 7 office including atrium. The total number of car parking bays was approximately 517; the nett lettable area (NLA) for the ground floor tenancy was approximately 314m2; and the combined commercial office NLA was 11,346m2. Construction costs were in the order of $35M+. ATCO Structures and Logistics: Certification of modular buildings for the Chevron Wheatstone Jobsite. C & T Thailand: Compliance advice for modular accommodation buildings for Inpex Icthys project (Darwin) and Wheatstone Accommodation Village. Fleetwood: Compliance and certification services for Atlas Iron Abydos Accommodation Village. CIMC (China): Compliance advice for multi-storey accommodation buildings for various BHPB projects in North-West WA. Modular Villages & GBS (China): Compliance and certification services for CSI Poondanna Accommodation Village. Nordic North: Compliance advice and certification services for Doray Minerals Accommodation Village, Newman WA. Siam Steel: Compliance advice for multi-storey accommodation buildings for Gorgon Gas Project, Barrow Island, WA.